Q: Do I have to create an account? A: To order online, you need to have an existing and active Puritan Springs account. There is a simple login that requires an active account number. If you do not know the account number to the account for which you are ordering, one of our representatives can help you find it. Call us at 800-292-2992, Monday-Friday, 8-5 or email online@puritansprings.com. Q: Do I have to order online to continue service? A: No. Your delivery service will continue as usual. Ordering online simply gives your Route Salesman a heads up about exactly what you want, especially if it’s out of the ordinary. Q: Do I have to pay online before my order is processed? A: No. You do not have to pay for your order before it’s processed. After your Route Salesman delivers the order, your Puritan Springs account will be charged, and a statement will be sent to you like usual. NOTE: There is a default message which indicates a payment is necessary to complete the order, but the disclaimer just below that particular message explains the process in detail. Q: If I order online, do I have to order online every time? A: No. You can order online as often or as sporadic as you like. Assuming you’re on a regular delivery schedule, your Route Salesman will deliver the regular items whether or not you submit an online order. Q: If I submit an online order for my usual products (standing order), will my Route Salesman bring my online order in addition to my standing order, essentially doubling my delivery? A: No. Your online order trumps your standing order. If there is no online order submitted, your Route Salesman will deliver your standing order unless he/she is directed otherwise. Q: If I do not submit an online order for my usual products (standing order), will my Route Salesman still make my regular delivery? A: Yes. Unless your Route Salesman has been directed otherwise, he/she will still deliver your usual products (standing order). Q: How long in advance do I need to place my order? A: Please place your order by 4:30pm the day BEFORE your scheduled delivery. Online order submissions close at 4:30pm (CST). Orders submitted the day of delivery will be assigned to the next delivery date. Q: The prices online are different than what I normally pay. Am I being charged more when I order online? A: No. The prices online are the standard company-wide price for product. If you have special pricing on any product, that special pricing will trump the standard online price. Q: Am I being charged a double fuel surcharge? A: No. The fuel surcharge online is much like the standard online prices as it is a standard company-wide . You will only pay one fuel surcharge unless your Puritan account indicates otherwise. Q: Do I have to create a login for the Online Order Site again since I have already created a login for the Customer Login where I pay my bill? A: Yes. 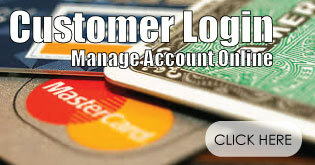 Although the Customer Login for bill pay is a part of the Online Order site, they each have their own separate logins. You will need to create a login for both if you would like to access both. Requiring a login for both is simply a security checkpoint for us. A: No. There is no minimum order. Q: I want to order product, but I am outside of the service area. What can I do? A: We try our best to serve people outside of our service area by using other delivery methods (e.g., USPS, UPS, FedEx, etc). Please send your inquiry to online@puritansprings.com, so that we may determine whether it's feasible for both parties to use one of these other delivery methods.